This eBook contains all the necessary elements to learn and master the hub of the programs, covering Versions 17.7 (Windows) and 17.5.7 (Mac). The information can be used and accessed in different ways. Following the entire eBook provides a complete training to learn the programs, not only by following tutorials and guides, but understanding how the program thinks. The tutorials show the “How To” for specific uses: How to start a project? How to insert a picture and landscape it? How to create a walk-out basement? How to slope a lot? Just to name a few. The Visual Guides are graphic solutions that allow the visualization of the tools’ concepts. Questions and answers by topic and general issues that reflect the most asked and answered posts at the Community Forums. Topics and tools are linked on the screen, so, while you are consulting an item, you can easily access the additional information. You can search the information by content, by topic or by keyword. The constructive elements include the necessary technical information. For example: the roof chapter includes a glossary explaining the names of the different parts of a roof as well as the name and development of 21 different types of roofs. 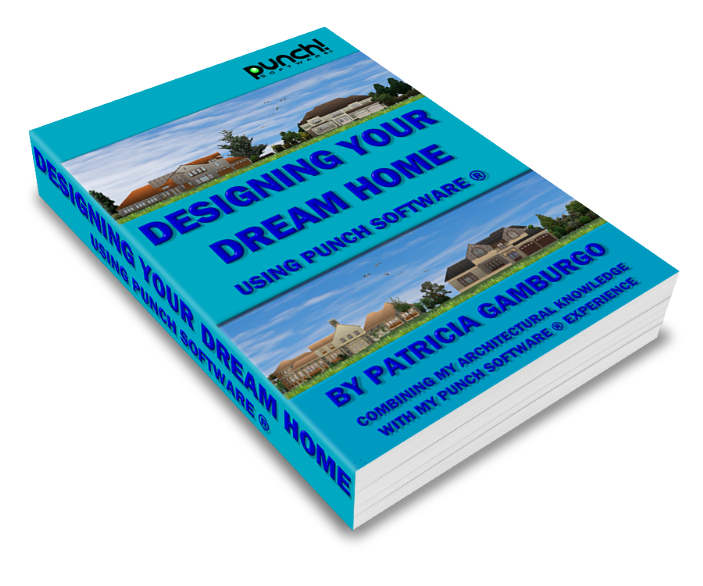 Or, if you wish to develop a staircase, for example, you will find not only how to create it using Punch! Software (R), but also, how stairs are calculated in real life. The eBook contains 244 pages with more than 44,000 words and 525 images and graphics. The Power Tools are explained separately with guides and tutorials. The eBook contains 207 pages with more than 29000 words and 440 images and graphics. The general issues and tutorials reflect the most asked and answered posts at the Community Forums. As each chapter is independent from the others, each tool has their full content, even if other tools share the information. Topics and tools are linked on the screen, so, while you are consulting an item, you can easily access the related information. As with the previous releases, you can read the entire eBook or you can check just the desired power tool. In addition, you can search the information by content, by topic or by keyword. This eBook covers the Power Tools included with the different titles of the program, covering Versions 17.7 (Windows) and 17.5.7 (Mac). How to prepare a picture to import? How to import a material? How to import a CAD file? How to create an accessory? How to print without a waste of paper? How to print an Elevation? How to print to scale? How to create a PDF? How to print the RealView elements? How to import objects from other sources? This eBook contains a collection of tutorials covering the export, import and printing issues for all the versions up to Version 17.7 (Windows) and 17.5.7 (Mac). In addition, you will find the all questions and answers about these issues, reflecting the most asked and answered posts at the Community Forums. The well-known Punchhelpers' tutorials compiled and updated, with new texts and Images as well as a new collection of frequently asked questions and useful answers about different topics. For all the programs up to Versions 17.7 (Windows) and 17.5.7 (Mac). In addition, you will find all the questions and answers about these issues, reflecting the most asked and answered posts at the Community Forums.